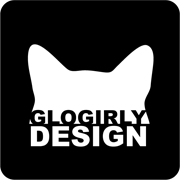 GLOGIRLY: BlogPaws Memories, Moments and Milestones - Plus, Where's the Swag?? 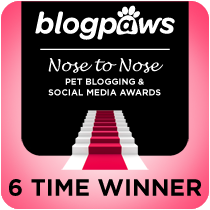 BlogPaws Memories, Moments and Milestones - Plus, Where's the Swag?? WAFFLES: Hey Boss, these bags Glogirly came home were all filled with dirty clothes and shoes. Where's all the good stuff? The treats. The toys. The red dots. KATIE: Surely there must be some kind of secret compartment for our swag. WAFFLES: And for all the presents from my girlfriends. They always give me gifts and stuff. Do you think they missed me? KATIE: You mean missed you hiding in the hotel room under the bed? 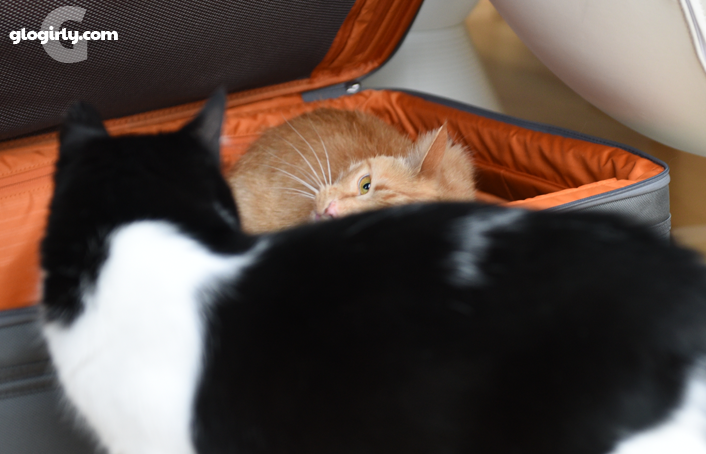 Not to worry... there's a whole suitcase of amazing kitty swag yet to be unpacked. 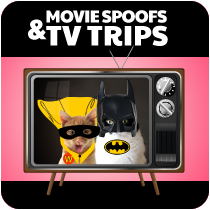 Giveaways and samples from pet brands and special gift bags from other bloggers. Swag is one of the most fun parts of the BlogPaws conference that everyone who attends looks forward to. We thought you'd enjoy seeing a few behind the scenes photos from the big weekend and meeting just a few of the fantastic bloggers Glogirly had a chance to hang out with. 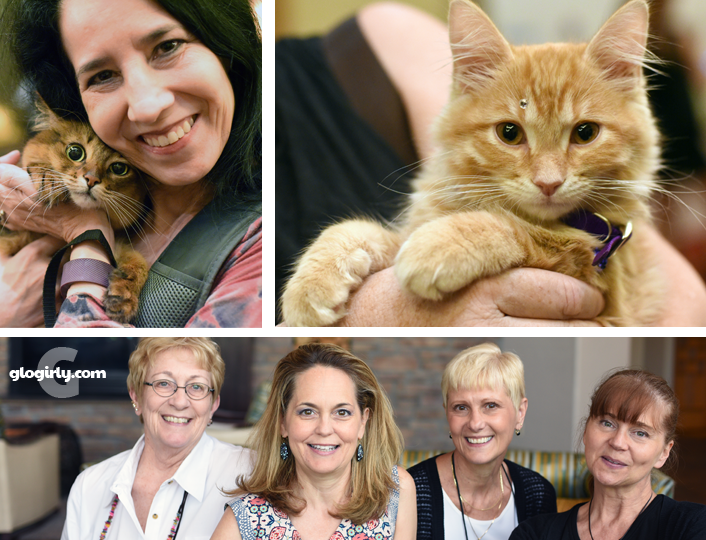 Top Left: One of our favorite therapy cats, Summer from SparkleCat.com, was on hand with her talented human Janiss Garza. Summer was everywhere! 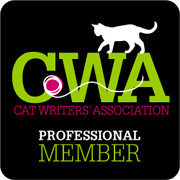 From greeting conference goers at the Cat Writers Association booth to dazzling everyone at the post Nose to Nose Awards celebration. Top Right: That little heartbreaker is Samuel, a sweet kitten who was seen snuggling up to nearly every cat lady at the conference. And what a wonderful experience for him! 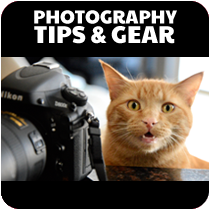 One of the best things you can do for a young kitten's development is to get them out and about, socializing with people and other pets, at a very young age. He was calm as can be, purring up a storm. This little guy attended a session about photography. Pretty sure he was practicing being in front of the camera, not behind it. It's truly something special when you find yourself among like minded people and friends. 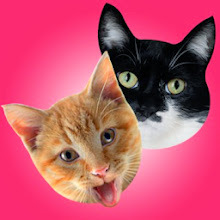 The pet blogging community is one of the most supportive and compassionate groups of people Glogirly has ever met. 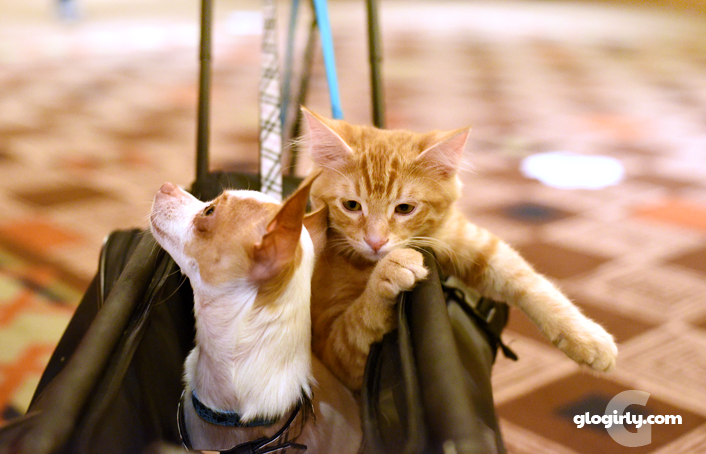 Some of the deepest friendships are formed at the BlogPaws conference. 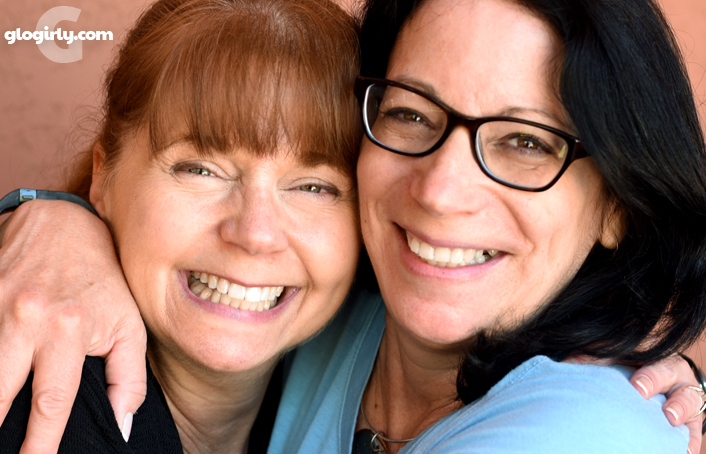 Lisa Richman (A Tonk's Tail) and Susan Willett (Life with Dogs and Cats) are two such friends. Pssst! Big congrats to Lisa Richman for winning the Best Blog About Page Certificate! We didn't catch their names, but these little guys were some of the cutest rideshare buddies ever. Do you think that orange cat is signaling a left paw turn? Or perhaps he's just tired of being a backseat driver! Moshe Moshi, from Naked and Hungry, was stylin' in his streetwear fashion and fancy, light-up ride. All the ladies were in love. 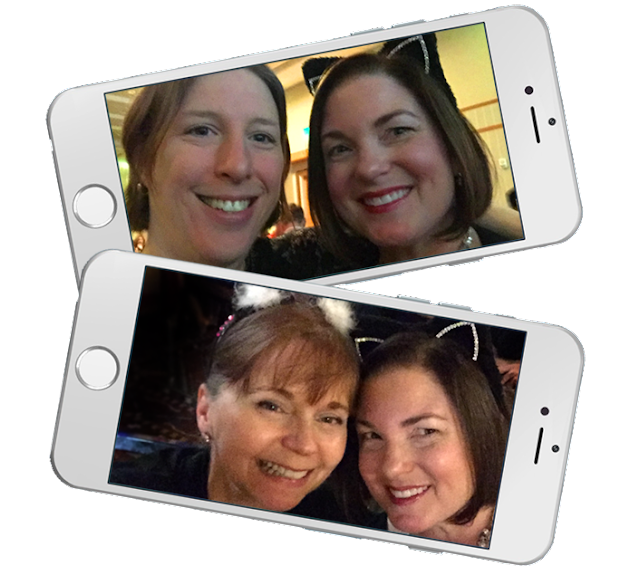 The sparkling cat ears come out for the final evening of the conference and the prestigious BlogPaws Nose to Nose Awards. The two cat ladies above are two of Glogirly's dear friends. Katherine Kern (above) from Momma Kat and her Bear Cat is a new friend Glogirly was really looking forward to meeting in person for the first time. There were hugs and smiles all around when they recognized each other for the first time. Lisa Richman (below) from A Tonk's Tail is one of Glogirly's closest friends. They've roomed together at more conferences than she can count and had a blast staying up and talking late into the nights. And the winner is... OMG! Many of our friends and readers know that we were up for a couple of really big awards at the conference. 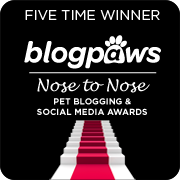 BlogPaws received over 1000 nominations (many from you!) 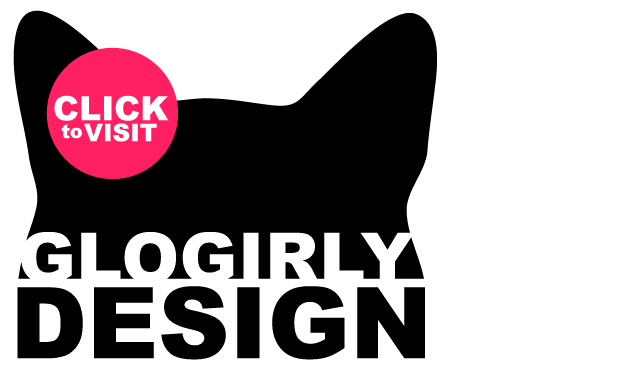 and a panel of judges made up of pet industry professionals, social media experts and digital technology pros looked at every single one to determine the finalists and winners. 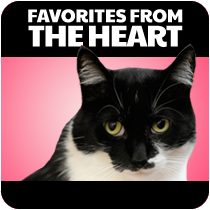 We are so honored to have been named a finalist in the Best Pet Humor Blog category along with three other talented cat bloggers. 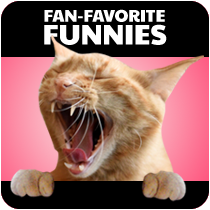 That’s right… ALL of the Humor Finalists this year are CAT bloggers. Not a dog among us. (Sorry, pups.) And when they announced Glogirly’s name as the winner, she was completely blown away. Being recognized as a humor blogger is something she’s dreamed of since she first started blogging seven years ago. 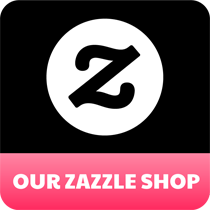 From the bottom of our hearts, we want to thank all of our friends, readers and fellow bloggers for stopping by to see what we’re up to day after day and smiling along with us. We love you more than you know. Concatulations (once again) on Glogirly's awesome Nose-to-Nose win! 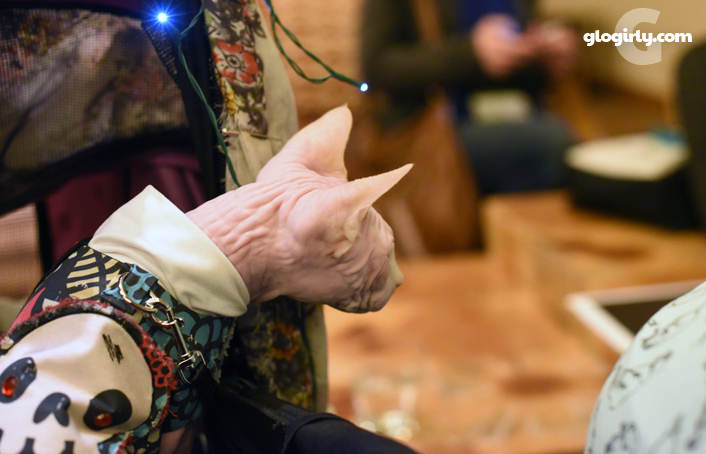 My human and I had the BEST time at this year's BlogPaws, hanging out with all our pals, old and new! I can't wait to see what Katie and Waffles think of all the swag. Janiss..that is such a good picture of you and little Miss Big Eyes..Sweet Summer! Congrats. Sounds like you had a wonderful time. Super! Pawsome! Well-deserved! We could go on and on. You and your fur people are just so neat and you deserve all the awards and praise you get. Now, enough about you. We want to echo Waffles' and Katie's questions about the swag. Haven't you humans learned that it's all about us fur people??? MOL! Congratulations on yout well-deserved award. We are so happy for you. Thanks for sharing your great pictures with us too.. That is the only way we will ever get to meet everyone. The mom was thrilled to be able to hang out with Glogirly and so many other fabulous blogging friends again. She didn't want it to end! Congrats to you guys for your N2N award...VERY well deserved. And as for all that swag...we're still waiting to get into the big bag the mom brought home. Concats on a well deserved win!! We know everyone had a great time!! We loved seeing pictures on facebook. Congrratulations on your big win! You know, with portraits like that, I might actually let you take my photo ;) Beautiful pictures of some truly wonderful women. The photos are marvelous and huge congratulations on your win!!! ConCats. Can't wait fur da swag and give aways. We's really goin' thru withdrawels here. What a fun time you had!! ConCatulations on winning! You can always put a smile on our faces and totally deserved the win! Wow that looks like a lot of fun for Glogirly! Sorry you two didn't get to go along this year. We bet the swag will make up for missing the show. Concats on the award! Well deserved. Yeah, where is the good stuff. Treats, toys, nip! 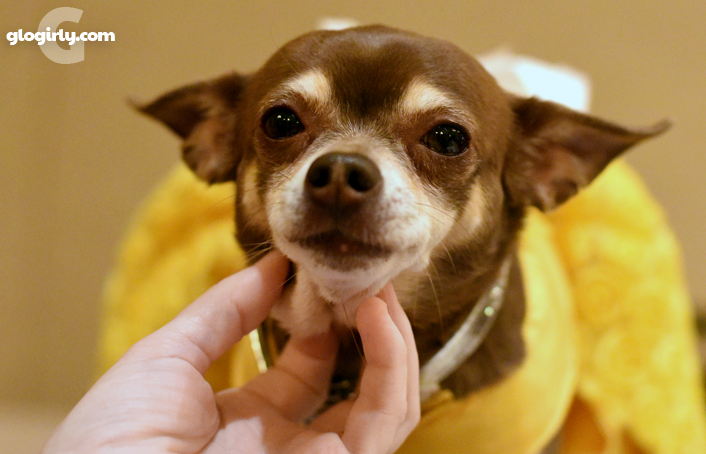 One of these years, we're going to get back to BlogPaws to hang out with you all ... maybe even next year! great pics. Wish we were there. Big concats. You make us laugh. Congrats on the award - you definitely deserve it!! You always make us laugh! Concatulations on your win! Mommy was happy to see Glogirly again this year. Oh, and I just LOVED the tambourine! I couldn't keep my paws off of it. Congratulations! Loved meeting you and all the other awesome bloggers. Great pictures here! 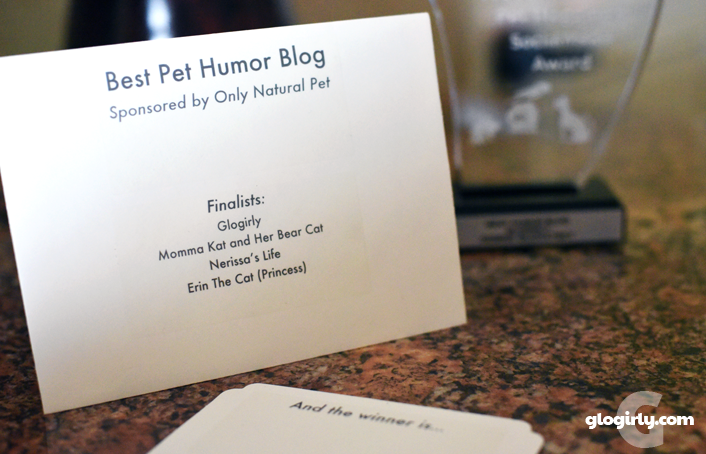 Congratulations on the N2N Best Pet Humor Blog Award. Very well deserved!